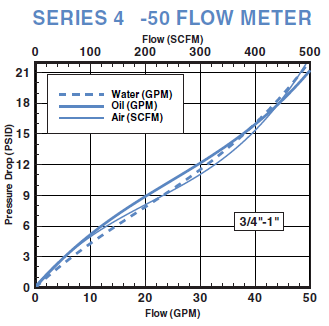 The Phosphate Ester Flow Meter is a Variable Area Flow Meter offering a low cost alternative for measuring heavier, solvent-based materials and lubricants. 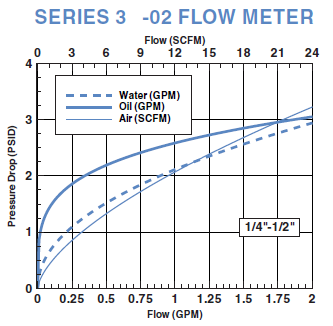 The superior weather-tight construction of this flow meter allows for use in outdoor environments and where wash-downs are required. 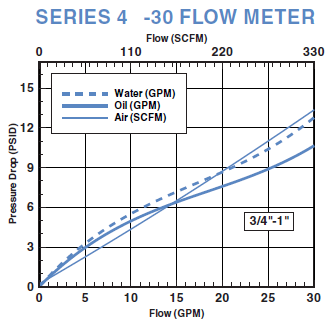 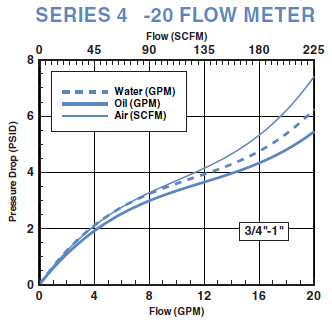 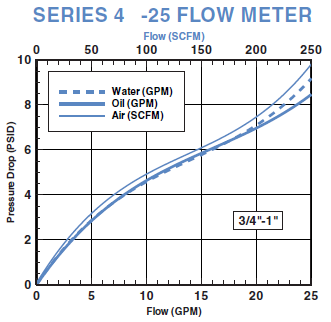 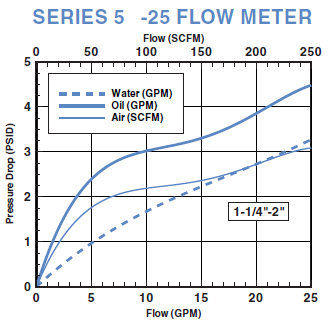 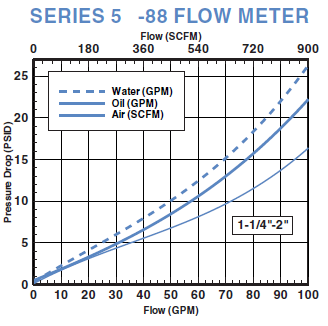 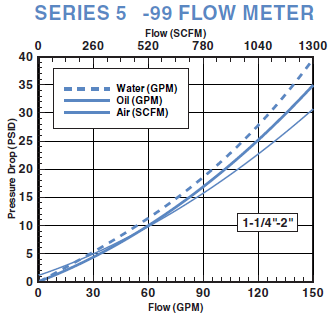 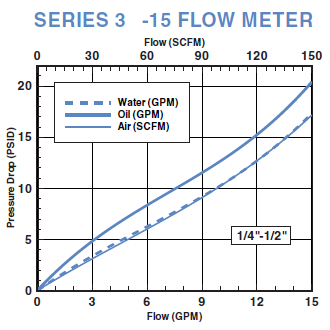 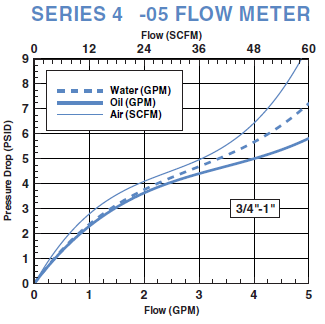 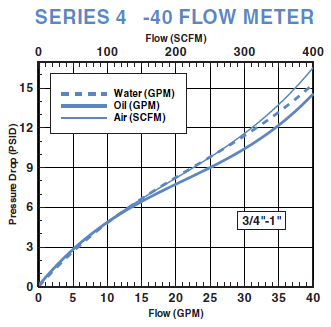 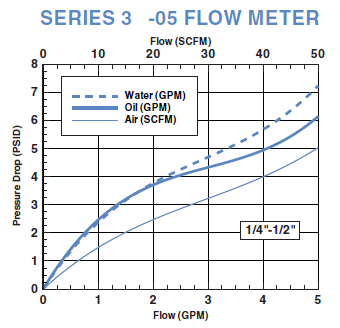 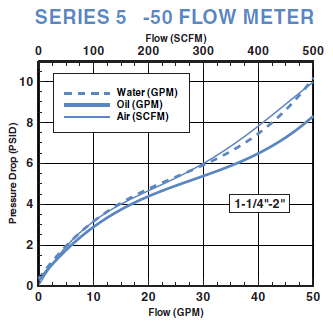 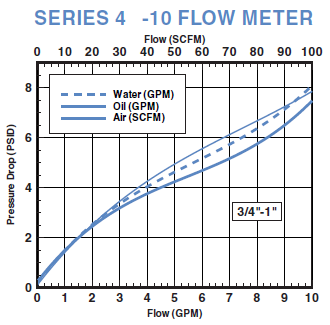 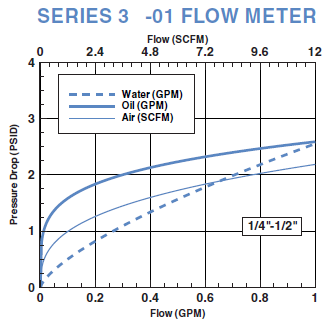 By using a Pyrex® tube and special seals, this meter is compatible with more aggressive fluids. 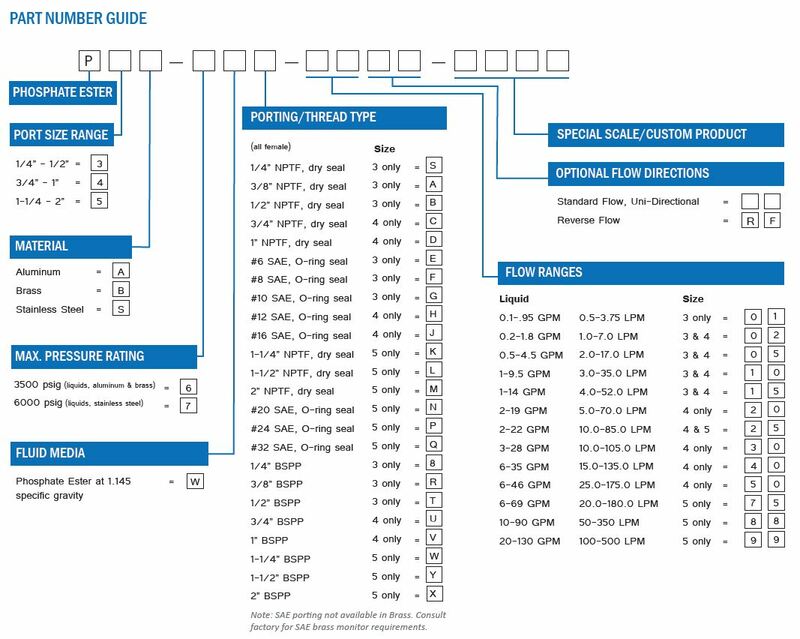 The standard selection of NPT, SAE, and BSPP ports reduce the number of adapters needed for an easy installation. 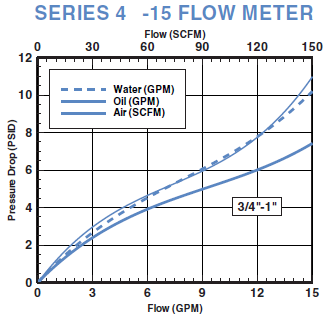 Choice of Materials: Select from aluminum, brass or stainless steel to meet system and liquid requirements. 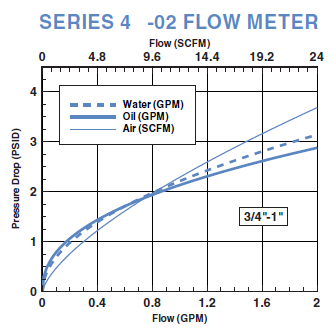 Multi-Use: Factory calibrated for phosphate esters, these versatile meters can be used to verify hydraulic power unit outputs, as well as test machinery and tools for proper fluid flow rates. 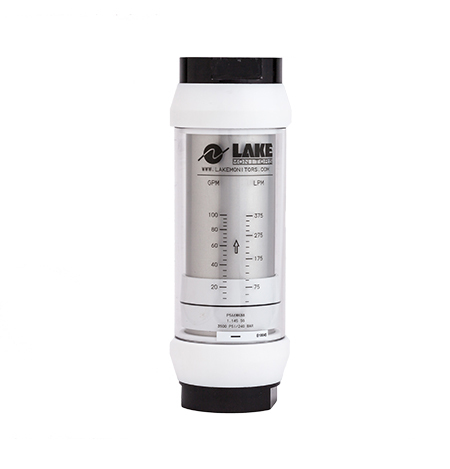 Rugged and Reliable: These meters are constructed with all metal pressure vessels that allow safe & permanent installation. 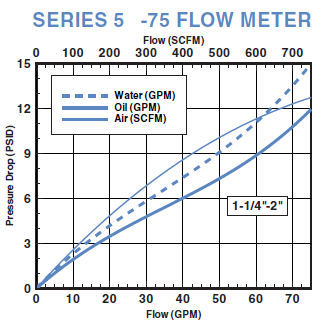 High Pressure Operation: The magnetically coupled follower design allows operation to 6000 PSIG and use with liquids. 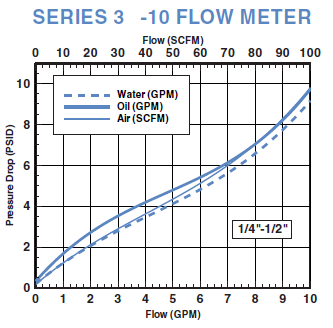 Tap water @ 70°F (21°C) 1.0 s.g.